Sarah Downey © 24 November 2010. 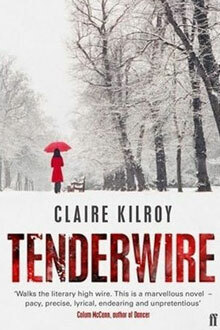 Claire Kilroy is the author of three novels, all published by Faber. Her debut, All Summer, is literary thriller about a stolen painting. Her second, Tenderwire, a love story between a violinist and a masterpiece violin, was published to great acclaim in 2006, and was shortlisted for the 2007 Irish Novel of the Year as well as the Kerry Group Irish Fiction Award. 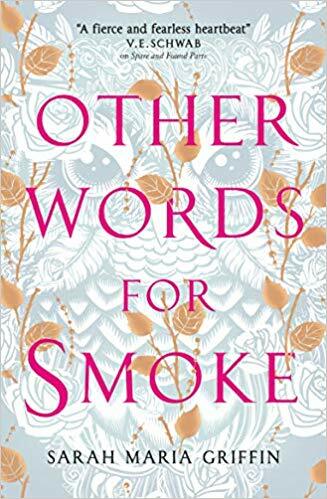 Her latest novel, All Names Have Been Changed, set in 1980s Dublin and centring around a great Irish writer and his Trinity writing class, was published in 2009. Educated at Trinity College, she lives in Dublin. She was awarded the Rooney Prize for Irish Literature in 2004. Writing.ie was lucky enough to catch up with Howth’s finest to chat about ghostly tales, her all time favourite reads, and Ireland’s ever rich writing culture. I never didn’t know that I wanted to be a writer, and I never remember not writing. I was quite small when I embarked on my first story – I’d say it was in second or third class, so I was seven or eight. It was a ghost story about a haunted house that a child breaks into at night. All the furniture was covered in white sheets, and then these floating figures drifted down the stairs rattling chains and chasing the child, and they were also covered in white sheets. I gave it to my mother to read and she laughed til tears came. I took the hump. It was only later that I learned that sheet is not spelled S.H.I.T. Oh dear! So tell us, how did your first novel come about? Slowly, is the answer. All Summer is about a girl who has lost her memory and doesn’t know who she is or what she’s about. I was twenty-five when I wrote the first draft, so it pretty much tallied with where I was in my life around then. I was working as an assistant editor on the BBC tv drama Ballykissangel at the time, and I jacked that in and spent a year working on the novel on my own. That was too lonely, so in 2000, I signed up for the M Phil in Creative Writing in Trinity. A publishing deal with Faber and Faber came out of that. Can you tell us what inspires your work? It’s too oblique and random to say. This and that is the best answer I can give – things I’ve noticed, things I’ve felt, people I’ve known, books I’ve read, whatever captures my imagination. Are the names of your characters are important? Yes, the names are most important. In my first novel, All Summer, Anna Hunt was called Anna Hunt for – well, the reasons are pretty obvious if you read it. Anna has a fake name, Isolde. For a while, she was called Isolde Mysoule, as she had sold her soul to the devil (I Sold My Soul – gettit?) but that was too obvious so I dropped it. 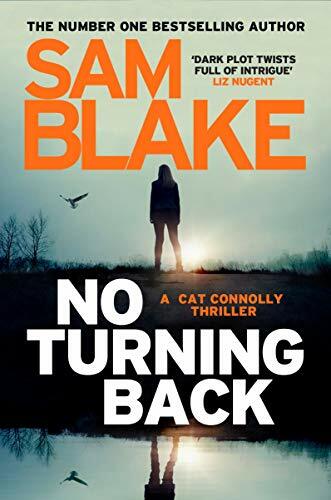 I spent a lot of time choosing the names of the girls in All Names Have Been Changed – Faye, Guinevere, Antonia and Aisling – because they are the muses, but I deliberately gave the male narrator a bog standard Irish name – Declan. The novel I’m writing now has a central character with a cryptic name which is a code to the plot. I’ll have to run it past a few readers before deciding whether to keep it. Check back with me in 2012. I will indeed! And what about the titles of your novels? 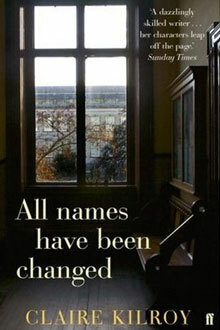 I only noticed well after All Names Have Been Changed was published that two of my novels begin with the word All. That title only became the name of the novel the day before I submitted the final draft to Faber. Originally it was the final line to the novel. But then I came up with a better final line, which freed up that line. I was really happy with Tenderwire as a title. It describes the special qualities of the strings (made of wire) of the violin that the narrator is in love with. It was called Wire for a while, because it was about something highly strung that was about to snap, but I added tender as it’s one of my favourite words. It’s very charged. I had happened upon it in a chapter in All Summer when Anna describes the approach of someone dear to her (“He walked and he walked, and his step was tender” – tender in the sense of painful as well as affectionate.) I never felt that I nailed All Summer as a title. A Scottish producer bought the film option to it and attached the title All Summer I Thought of You to the project, which is the line that the novel is named after. It makes for a much better title. I wish I’d thought of that. But you learn as you go. Why do you think Ireland produces such great writers? Our novelists are indebted to Joyce – a Dubliner invented the modern novel, and Irish writers have gone on to win almost every prize there is for novels written in the English language. As a consequence, we have a writing culture in Dublin and in Ireland in general. The proximity to so many writers makes it, notionally at least, more feasible to write a novel of your own. It got very hard to be a writer during the boom years as the city was so expensive to live in and there is so little money in literary fiction, but it looks like those days are gone. I certainly hope so. So who are your personal favourite authors? The great prose stylists Vladimir Nabokov and John Banville. I also like Martin Amis, Andrew O’Hagan, Michael Frayn. 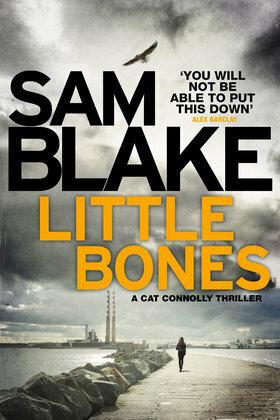 Do you have a favourite Irish book of all time (apart from your own!)? Athena, by John Banville. It’s the final part of the Frames trilogy – The Book of Evidence, Ghosts, Athena. 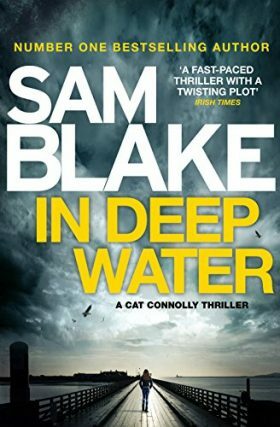 There’s some really good stuff coming out by the younger Irish writers too – Open Handed by Chris Binchy, Bad Day in Blackrock by Kevin Power, and I have high hopes that Skippy Dies by Paul Murray will get a shout from this years’ Booker judges. Not really. It’s important not to fetishise it as you’ll never get perfect circumstances. Shut up and do it, is my approach. Is another novel in the pipeline? Can you tell us a bit about it? I’m trying to write about the state of ruination of Ireland now. It’s proving difficult to find a story that encapsulates the arc from boom to bust. What advice, if any, would you give to all the budding writers out there? Read and write a bit every day. It’s a cumulative process. I tend to think of it as putting a brick on the wall every day. If you keep at it, you eventually build something. 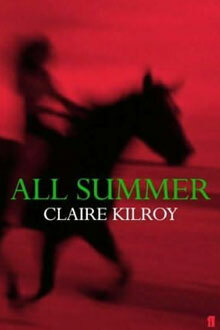 Claire Kilroy is the author of All Summer (2003), Tenderwire (2006) and All Names Have Been Changed (2009).